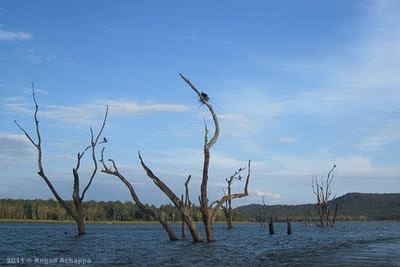 After traveling to most of the Tiger Reserves in Karnataka, there was still one left to be ticked off the list, Kabini. 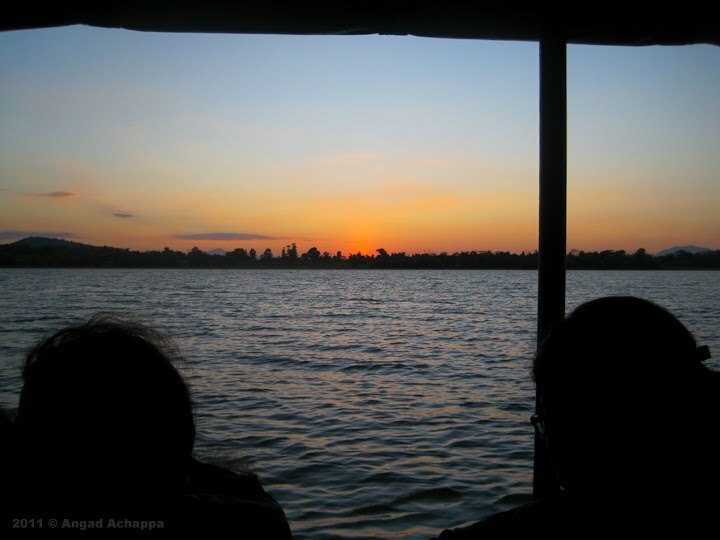 The backwaters of Kabini, which adjoins the Nagarhole National Park is a heaven for any wildlife photographer. After coming across a lot of leopard photographs from the region, i knew this was where i would make my first ever leopard image. 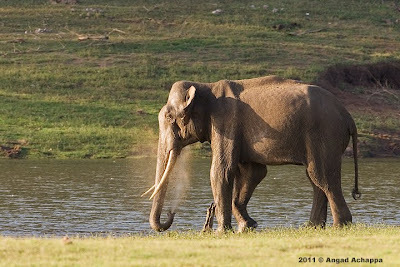 Kabini is also famous for its large congregation of elephants during summers. On the 10th of December along with Sagarika, Sandeep, Suman and Prasana, we left Bangalore at 7AM and headed for The Serai, in Kabini. We checked in at our resort just short of lunch and were introduced to the GM Mr. Ashwin Pinto, who gave us a brief introduction about the resort and also about Kabini. From the time we arrived, we were all exited about the jungle safari that was just an hour away and it is in that very Safari towards the end that we found her sitting on a tree. 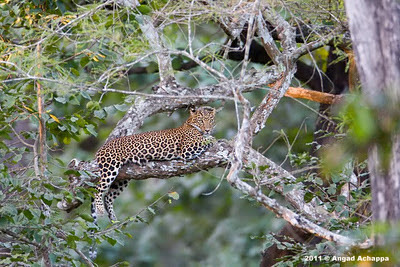 I was thrilled, my very first safari in Kabini and id got my leopard image. My trip was made. The night was spent chatting with the others over dinner. The next day we opted for the jungle safari again in the morning and the boat safari in the evening. 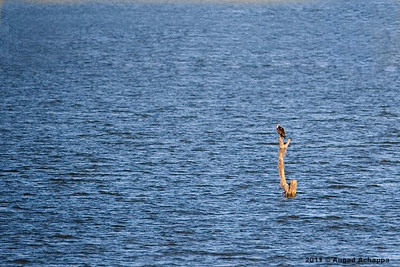 The morning safari yielded some fantastic sightings in the form a Malabar Flying Squirrel in broad daylight. 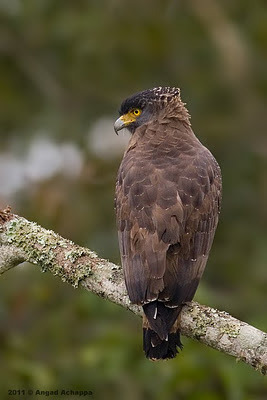 It is quite rare to see them during the day as they are mainly nocturnal. We also came across a huge tusker on the banks at Sunset Point. 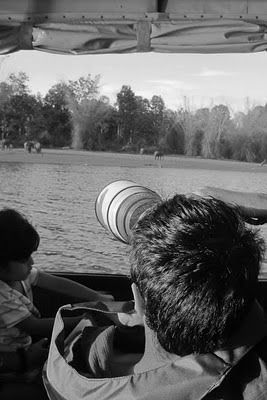 The evening boat ride yielded some very good elephant herd sightings. 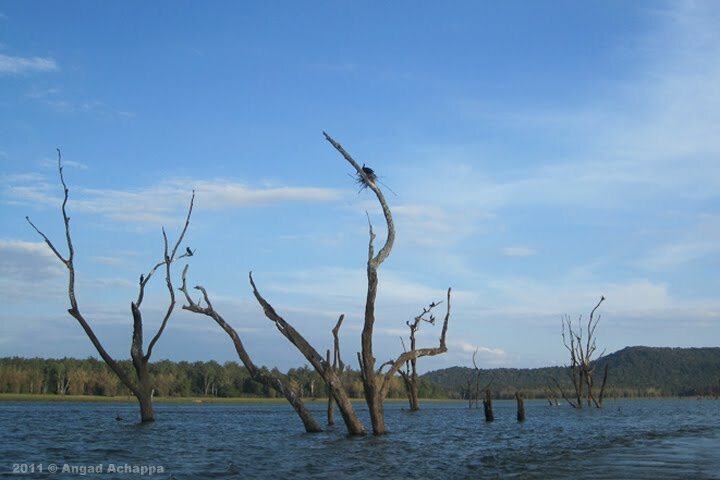 Kabini Backwaters is also home to a large number of Ospreys. 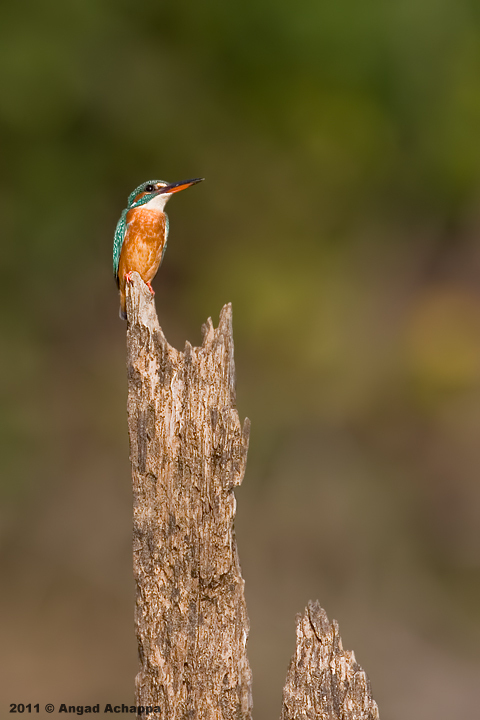 The next day before it was time to leave, we went for a short nature walk along the banks of the Kabini Backwaters with the head naturalist Mr. Kuttappan who showed us quite a few birds. 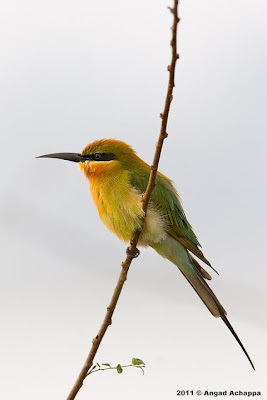 The highlight of which for me was the Blue-tailed Bee Eater. I must take some time out to thank Mr. Ashwin Pinto, the GM at the The Serai, Kabini, who was kind enough to help us plan the trip. wow! great sights and photos! Thanks for the great description and wonderful pictures. One more place to add to my already long wishlist!! Wow! Thanks for sharing your adventure. That is amazing! Love the leopard pictures! 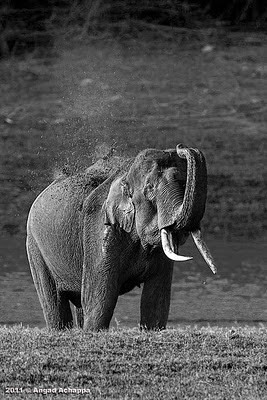 Kabini is an awesome place and it never disappoints..wonderful shots though of the leppy! Wow! What a lovely shots... Amazing and superb sights and pictures. 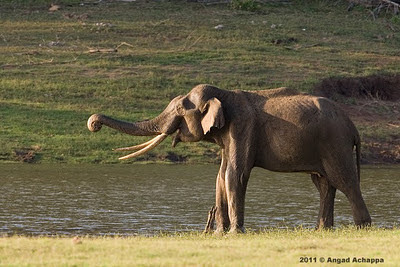 Kabini is a great place I hear and see amazing pics. These are some great captures as well, need to make a visit soon. beautiful, thanks for dropping by..keep shooting..
Kabini looks like a most glorious place to visit to view wildlife. 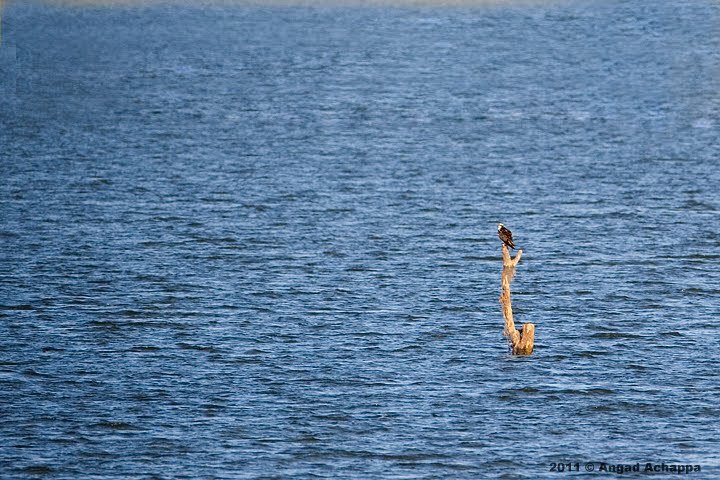 Exceptional photographs! Viewing your stunning images brought me back to my safari trips in Africa. Fantastic post! I look forward to viewing more photographs from your adventures. 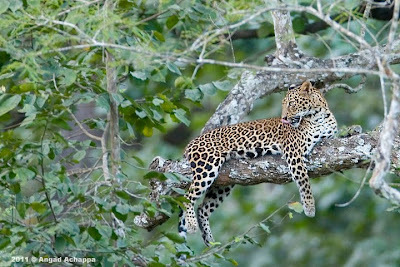 Wow, those are gorgeous shots, especially like the leopard perched so lazily in the tree. What a tour through your eyes! Every single picture is amazing! I love the elephants most, especially the B&W photo! Fantastic and useful weblog. Thanks for publishing this. It’s useful and informative. Keep up the great. Bandipur resort National Park a Project Tiger Reserve, one of 30 such reserves across India for Project Tiger, a scheme launched in 1973 by the Government of India, to save the tiger and its habitat. 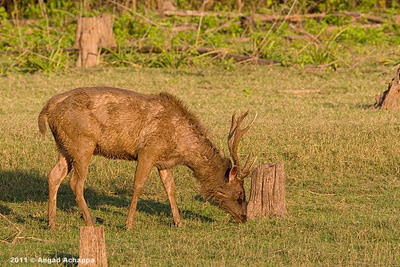 The major attraction of Wildlife Safari in Bandipur National Park is its wildlife expeditions. Br hills resort Wildlife Sanctuary has deciduous, evergreen and grassland vegetation is safe haven for a variety of wildlife. 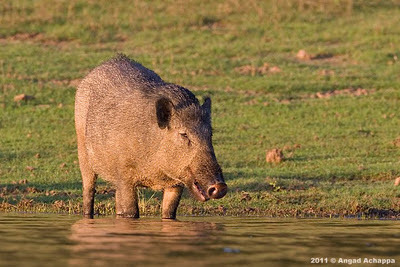 Commonly sighted animals are gaurs, spotted deer; wildboar and elephants in Wildlife Safari .